The Al-Megrahi controversy illustrates one of the basic misunderstandings that poison East-West Relationships. 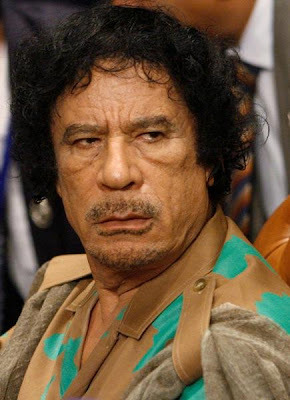 The scenes of celebrations upon his return cannot have come as a shock to those who remember the history of Colonel Kaddafi(Gaddafi) and his consistent talent at irritating, insulting and keeping everyone on their toes. This is not about a clash of cultures or an Arab insensitivity to the suffering of others. Leaving aside whether Al-Megrahi is guilty of Lockerbie or whether the Libyan people feel his detention was a political one, the public display of jubilation are unlikely to have been spontaneous and can only have been blessed and orchestrated by a regime bent on sending messages as part of a conversation with London and Washington of which we know little. Capricious tyrant or Machiavellian visionary? The jury is still out on that one. What is clear is that the West is showing a great deal of tolerance in the name of pragmatic cooperation. I remember a conversation with A Libyan doctor in self imposed exile who complained above all of the ‘unpredictability’ of a regime run by an unpredictable man. In a way Kaddafhi is not different from a Henry VIII changing wives like you would change socks, then creating a church to accommodate his personal needs. These, after all are the prerogatives of absolute Monarchs...and Rock stars. Kaddafi probably aspires to both status: omnipotent and dramatic. He is a figure as recognisable as Michael Jackson since the 1980s and will mostl likely become a pop-art icon for years to come. But the values of the 16th century are no longer in operation. This is 2009, supposedly dominated by liberalism, governance, accountability, fairness and...Democracy. Wars are being waged in the name of these values in Iraq and Afghanistan at a high cost for all those involved. Unfortunately, and since September 2001, Kaddafhi has been sold to Western public opinion as a repentant bad guy, turned anti-terrorist campaigner and business partner. Dropped were concerns over sustained human rights abuses, oppressive policies and lack of political freedom. Libya had become in 8 years the ideal investment spot, as longs as you managed to woo the ruling inner circle by accepting invitations to share food in the presidential tent or admiring the artwork of the heir to the throne Seif El Islam in a London Gallery. Britain, but also the US and others have only their governments to blame for marketing the regime as a model for the future Middle East. Only a few days prior to Al Megrahi’s release on compassionate grounds -A decision that can only be praised if its premises are genuine- Switzerland was apologising to Kaddafi’s other son Hannibal for having smeared his image following allegations him and his wife had abused their staff while sojourning in the country. Libya had retaliated by withdrawing funds deposited in Swiss Banks and cancelling contracts. The sight of Swiss officials begging for forgiveness was more repulsive than the scenes in Tripoli. It was also more symbolic of the hypocrisy framing East-West relationships, a relationship of business and political powerhouses over which the average Arab has no influence.